Before I get to my IWSG post, lets celebrate Medeia Sharif's new cover for her upcoming release A LOVE THAT DISTURBS. Isn't it eerie and just a bit seductive? I think so. 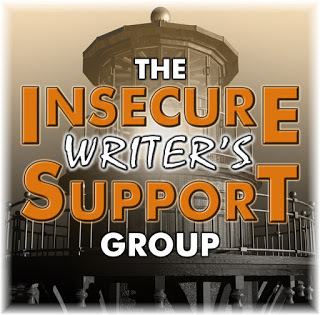 I am co-hosting the IWSG site! 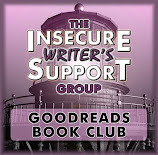 Check it out: Insecure and Proud! 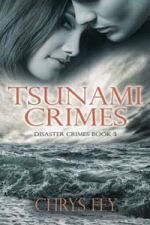 The release for SEISMIC CRIMES came and went. It is now out there for everyone to purchase, read and review. 1. Bloggers participating in A to Z included a promo in their S post. Results: 20 people had signed up. All but 5 posted the promo I sent. I received a good response from commenters, which is always nice to see. I had 5 different messages going out at all different hours on April 22nd. Results: I had 120 supporters. 100 tweets. 31 Tumblr posts. 3 Facebook posts. Although those are great numbers, I saw nothing happen with it. 3. Announcements across all social media and Yahoo Loops (aka Yahoo Groups). Results: In my announcements in the Yahoo Groups/Loops I included two pre-made tweets. Many authors I know tweeted for me and my publisher sent out many tweets. All of those got a bunch of re-tweets. This was definitely more effective than Thunderclap. 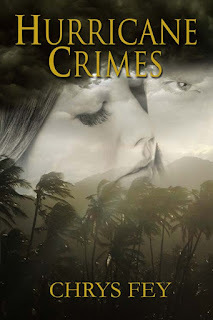 When Seismic Crimes was up for pre-order, I did a cover reveal. Results: The pre-release rank was pretty good. Overall Result: I had an over-whelming amount of support in the blogosphere and twitter-verse, which led the charge for my release day. Definitly take advantage of this and not just Thunderclap, which I don't think is as effective since you can't add a picture or a link preview. QUESTION: What are your promo efforts for a new release? YAY! for Medeia! She is one of the most productive writers I know. And look at you... Woot! You have so much going on. Good for you. Wishing all the best with it! I also found thunderclap to be a huge zero - especially after all the work to get the support. Tweets seem to do a better job. Using the A to Z helped a lot for Murder & Obsession, I was surprised and pleased. I hope my publisher is too. Congratulations to Medeia - and you too! Good job everywhere! I was really disappointed with Thunderclap because it was my first time ever doing it. If it's possible, utilizing A to Z brings in great redults. Last year, one of my eBooks came out during A to Z and had good results just with the little promos I put in my posts. Congrats to you and Medeia. Some great writing hitting the reading world. Have a super successful May! Congrats on your launch, it sounds like a good result. I agree that Thunderclap is best as just a part of a larger campaign. I don't actually know what Yahoo Loops are, so I'll need to look into that! Congrats to Medeia too. Thanks, Nick! Yahoo Loops are places for people to chat, connect, and share. My publisher has a few and many book websites (reviewers) have them. You need a Yahoo account to access them and you gave to join them. Google author Yahoo Loops and you should find some. I don't know much about Thunderclap. Glad to hear the release went well overall though! Never heard of Yahoo Loops. Thunderclap was brand new when I tried it for my first book, and it might have been more effective then. Yahoo Loops are great. They're places for people with the same interests to connect and share. 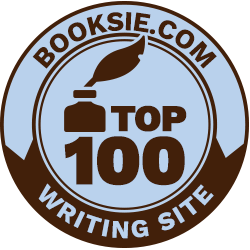 Many publishers and review sites have them. They're like Google Hangouts but on Yahoo, so you need a Yahoo account. I personally find them better than Google Hangouts, though. People in the loops generally want to help others whereas people in Hangouts just want to share their own stuff. Congratulations on your launch, Chrys. I've never heard of these things and haven't done much to promote my novel so I can't complain about no results. Best of luck to you. Congrats on the launch. Very true, there are large numbers with Thunderclap, but I also find it does nothing much. I know. I was disappointed. Thanks! Someone else posted about Thunderclap today and said that while the results weren't steller, they were enough she'd gladly do it again. I think everyone is just trying to find the next big thing right now. I don't think I'd do it again. Asking my author friends to tweet my pre-made tweets was more effective. My promo efforts are definitely lacking. It basically boils down to I may or may not tell people I wrote a book. With the first one, it was like, "Hey, when's your book being published?" "Oh, last week." So I love seeing what you've done, and what you've thought of it. I definitely need to improve in this area. Never heard of Yahoo Loops. Congrats on the new book, Medeia! Oh no, MJ! You need to tell people, and to want to tell them. Yahoo Loops are like Google Hangouts, but everyone on the loops are more likely to support you. Yahoo loops, eh? Never heard of them. I have a # of facebook groups with very supportive people, but Yahoo? I thought Yahoo was dead. I am amazed how many people never heard of Yahoo Loops. I'm going to have to do a post on it! Far from dead. Interesting cover and plot for her book! Sounds like your release promo stuff went well too! I know you put a lot of effort into it too! I did. :) Thanks, Betty! Good luck to Medeia, she is a very prolific writer. 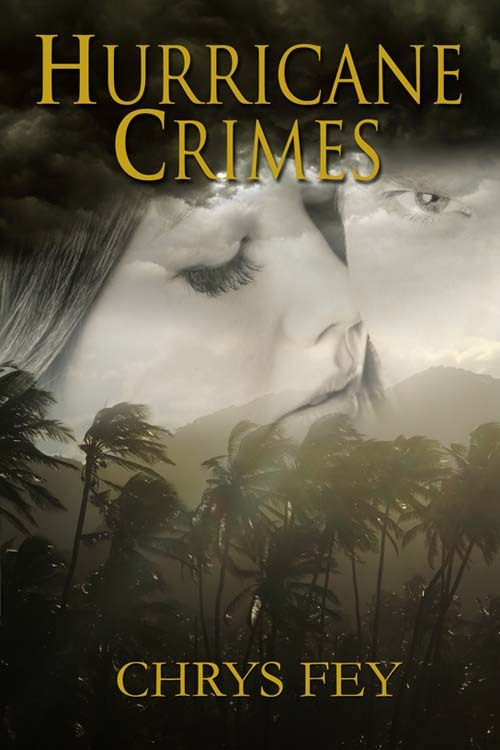 Love the cover of Seismic Crimes Chrys. We did Thunderclap for the Parallels anthology, but I'd have to check on the stats. 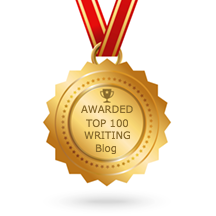 I promoted each story in one of my Weird Science blogs during the A to Z challenge. It will be interesting to see what happens. Congratulations on your launch, Chrys. Honestly, I was exhausted just reading about your promo efforts. I’ve never heard of Thunderclap or Yahoo Loops, but I’ve never had a digital release (how weird is that??? ), so a lot of promo opportunities are lost on me. Maybe Thunder Clap campaigns need catchy hooks to grab people. I don't know. Glad I took part in the blog promo and congrats on your latest release Chrys. I had 5 different tweets with tailings and catch hooks. Still didn't help. I think tweets with images or preview links are best, and Thunderclap doesn't do that. I don't think I'd ever heard of Thunderclap or Yahoo loops. I'd assumed Yahoo social media was pretty much dead, since the heyday of Yahoo groups came and went years ago, and it's never been a huge search engine or one of the major news sites. Congratulations to both you and Medeia! I've seen Thunderclap somewhere, can't remember at the moment. Something else I need to check out. And I will. Meanwhile, I wish you tons of success, Chrys. I know you work very hard. Especially on the newsletter. Hope I've told you how much you're appreciated? Very much! What are Yahoo Loops? Congrats on the release. Haha! I've explained what they are in about a dozen comments. :P I'll put more info about them in my next IWSG post. Congratulations on your release! 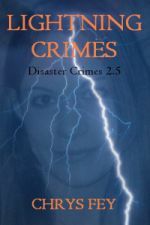 I was very surprised to find Hurricane Crimes on Amazon Germany for 0.99 €. I bought it and also your new release but for its full price. Now, I look forward to reading them. Yes, my books are sold on every version of Amazon. :D Thank for for buying both! I hope you enjoy them! Congrats on your launch. My last Thunderclap campaign was for a free book on April Fool's day so I had the advantage of the fact April Fool's Day was trending too. That definitely helped. A trending hashtag is smart to include in the Thunderclap tweets. I didn't think of that. I may have to give it one more shot with a hashtag or two. Congratulations on your release. I need to follow you on Twitter! I don't know how you find the time to write, promote, and support other writers. It's inspiring. Thanks for co-hosting! Aw. Thank you, Adrienne! I do what I can. I'm chuckling as I read this post, Chrys! You are light years ahead of me in many ways! When my sister and I were promoting her book a few years back, we were working literacy conferences among other things! How times have changed in such a short time! For example, I have no idea what a Yahoo Loop is! 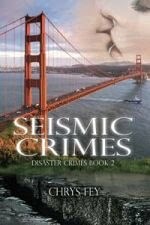 Good luck with your book "Seismic Crimes!" That catchy title sure caught this geologist's eyes! LOL! You're not the only one who doesn't know what a Yahoo Loop. Almost everyone commented saying the same. I found out about them through my publisher. I'll explain more about it in my next IWSG post. First, congrats to Medeia on her new book. Second, congrats to you on your analysis of your launch. Very interesting. 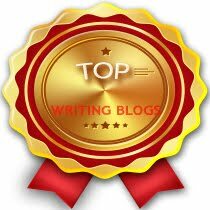 Chrys, I'm so behind on everything including helping bloggers promote their books. I'll do a Tweet for yours. Every little bit helps! Every little bit certainly helps. Thank you so much, Stephen! Great post Chrys, everytime I see your book I recall the day I crossed over "The Golden Gate Bridge" Wonderful memories. Congrats on the release. Have my copy. Wishing you much success. Sounds like you had a good start. Looking forward to seeing you in my Author Spotlight on the 24th. You have a grown a lot. You are an inspiration. Yay! Thank you so much for ordering a copy! I just got mine. :D I can't wait to be on your glad. Medeia's book sounds intense. Glad your promo worked well and it was a pleasure to feature your book on the letter "S" day. I agree with you regarding Thunderclap. I didn't use this promo for my last book. Congratulations on your new Release. Wishing you much success!!! It was my first time trying it and I was disappointed. Congrats Chyrs! Promoting isn’t easy but for my next promo release, I might try Yahoo Loops. Never heard of it before. Join some Yahoo Loops now to introduce yourself before you post promo messages. :) I'll talk more about Yahoo Loops in my next IWSG post. Thank you, Denise! I suppose for some a promo or Thunderclap could wield different results. Glad things ran smoothly for your cover reveal and launch. Congratulations. Here's to lots of sales and great reviews. I'm working on promo now. Thank you, Beverly! :D Good luck with your promo! Chrys!!!! OMG! I signed up for the S post reveal too, but I forgot all about it. I feel miserable about that. I really do. All my posts were pre-written, so there was no excuse. FYI, your post for Monday HAS been scheduled and it will post on time. Don't ever feel you are bugging me to remind me. I appreciate a reminder. I think I bit off a bit more than I could chew last month. It didn't help I was out of town the weekend before the S post. Love the cover Chrys! I don't remember if I signed up? That's awesome news about your new release! :) Congrats to Medeia! I've been seeing her cover all over. Congrats to Medeia on another release! Sounds like a deep and heartfelt story. And thanks for sharing your wonderful results on your promos, Chrys. I was curious about Thunderclap and how it works (or not). I've heard some people like Thunderclap, but many agree with me. The only thing you can do is try it yourself and check your results. Hi Chrys, the new book release and cover for Madaei's new book look fantastic! 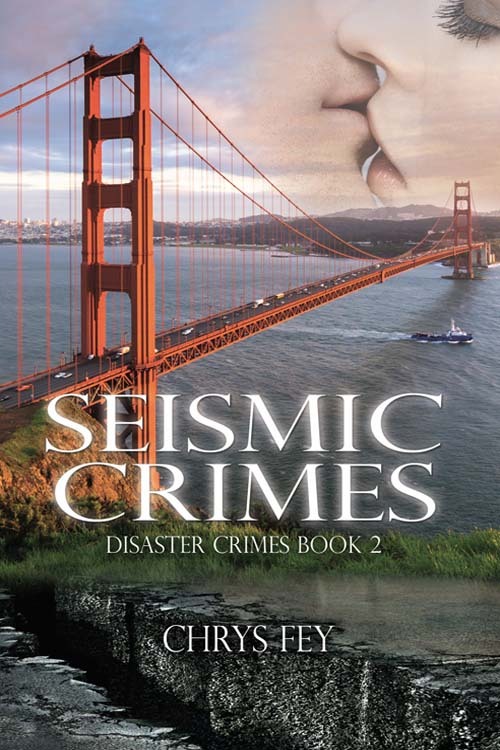 Nice re-cap on your promo for Seismic Crimes. I think I bought it in April on release day. I haven't had a chance to read it yet. I'm in the middle of 'Bonfire of the Vanities' a long and in depth read. :P Interesting how Twitter was most effective. I'll start thinking about my short story collection promo after I finish the edits. Your editing is excellent, by the way! I was happy to be a part of your release Chrys. Good luck with the book! Chrys, I keep waiting for you to downshift, and instead you expand even more - outstanding! 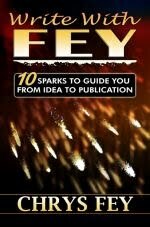 Although I didn't know about Thunderclap when you were planning your launch, two authors I know through other groups are using it this month for their book launches. I'll be interested to see how that goes for them. Pleased that the A to Z promotions on S day were effective, and glad I was able to support Seismic Crimes on that day. They may have different results. You never know. 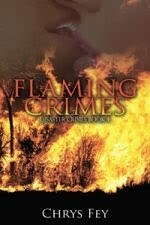 Adding Seismic Crimes to my list... LOVED 30 Seconds! It sounds like you have a good plan in place. I wish all the best for you. Congrats on your release. I'm glad to hear the results of your campaign were positive. I've heard of Yahoo Loops but didn't really know what they were. Thanks for sharing and thanks for co-hosting.